You will need the pose player (updated 5-1-12 or later) to use these poses! Without this version, these poses WILL NOT WORK. 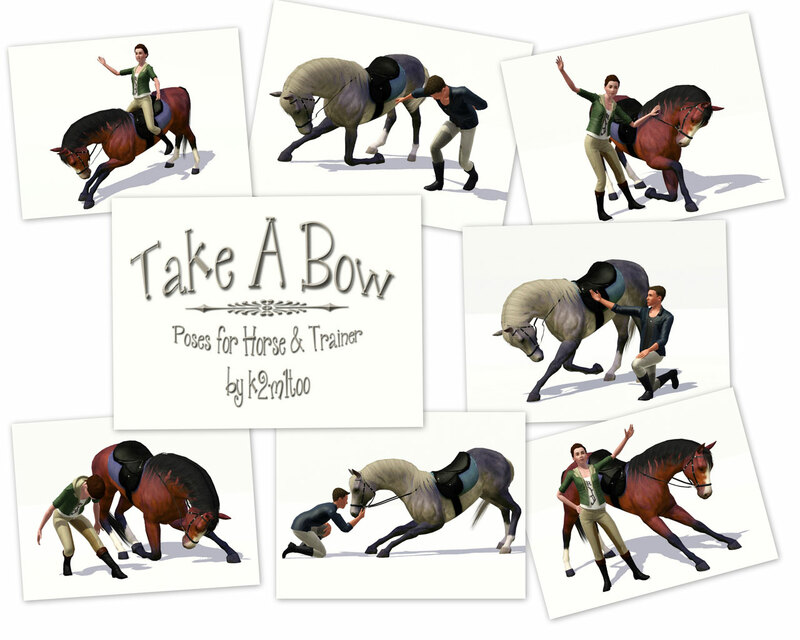 This pose pack contains 14 bowing and "ta-da" poses - 7 each for horses and sims. 30-Mar-15 : Updated so that the pose codes are listed in the 'Name' field of the pose list. No other changes made to poses. I designed the horse and rider poses to go together (e.g. a_k2_riderbow_04 is meant to go with ah_k2_horsebow_04), but most of them can be mixed and matched or used individually. 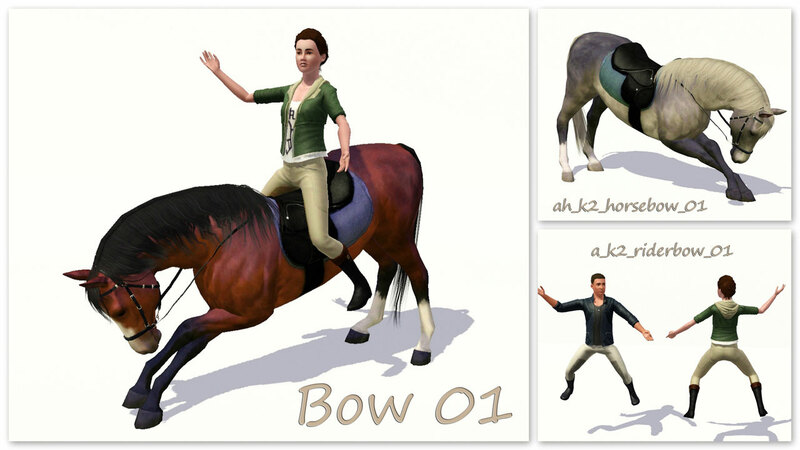 The mounted rider, a_k2_riderbow_01, will work with all of the horse poses. You will need to raise the rider slightly (about 20cm) using OMSP if you use it with horse bows 4 or 5.
a_k2_riderbow_01 - Mounted rider with arms raised. a_k2_riderbow_02 - Gallant bow with left arm to back. All other items are stock EA items from Pets & Showtime. 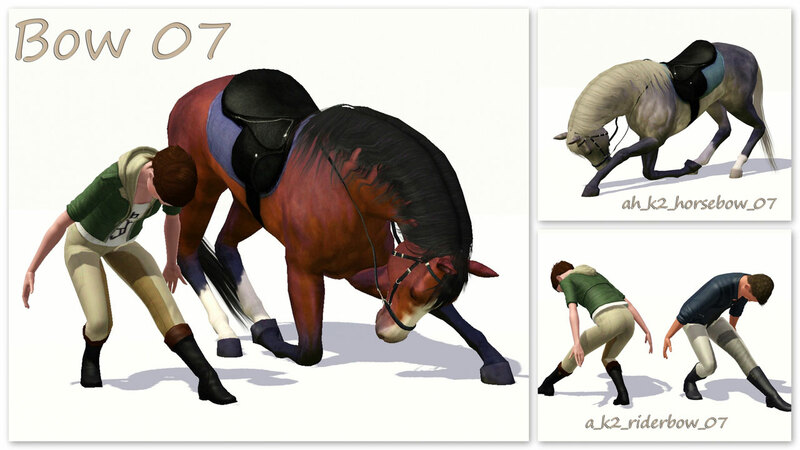 k2m1too_TakeABow_withlist.rar | Description: 14 bowing and &quot;ta-da&quot; poses for horses and sims.